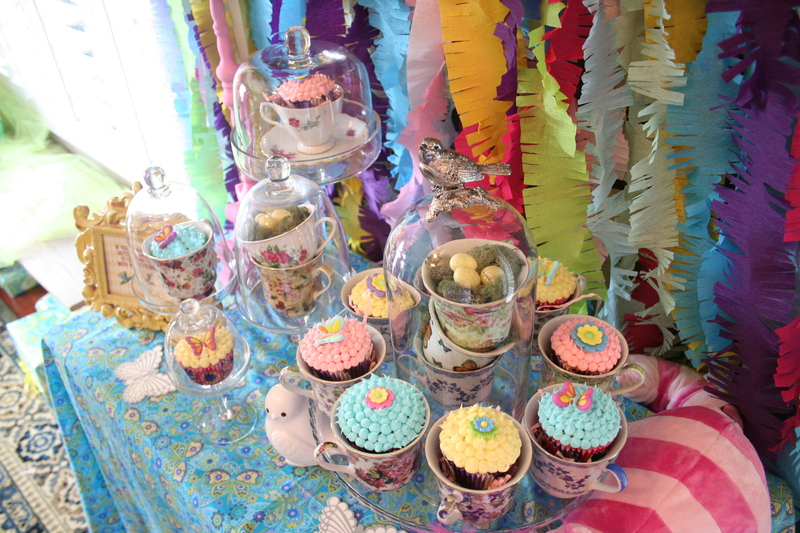 The Alice in Wonderland – themed Baby Shower I am hosting in August will be upon us before we know it! It was time to get the invitations into the mail. After searching the web for inspiration, this is what I came up with! I hope you like them and they inspire you to create fun invitations for your next event. 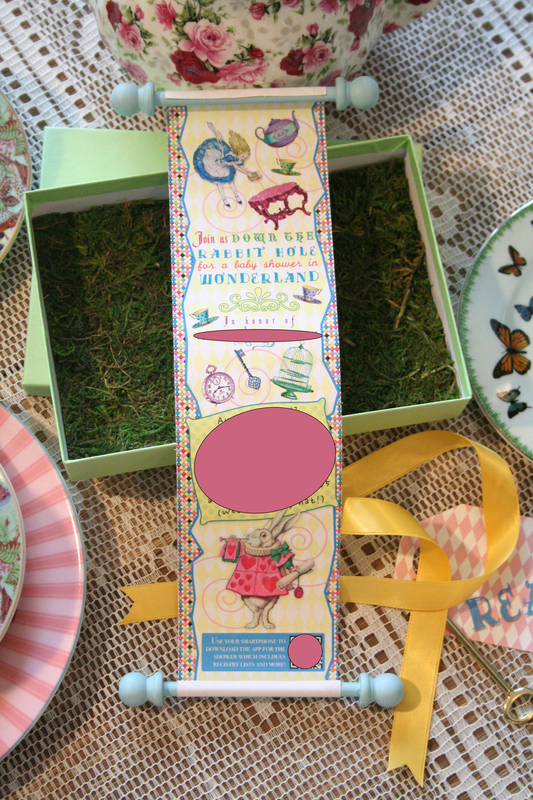 I hand-addressed the invitations with whimsical letters and numbers, then added some Alice in Wonderland stamps which I ordered from Stampington. Each invitation was tucked into a box on a mat of moss. Tags that read “READ ME” were created with a Cameo. They were tied around each scroll invitation along with a key. 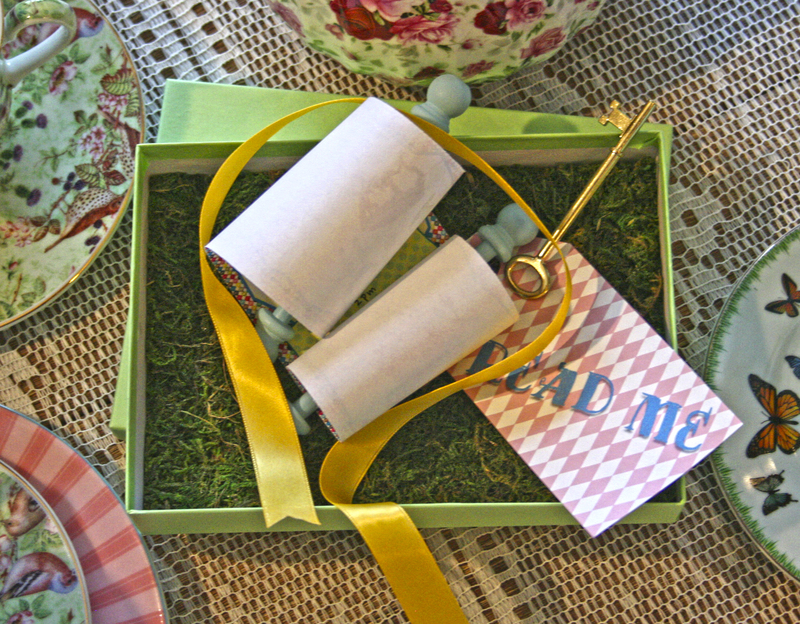 When unrolled, the invitations showed Alice tumbling down the Rabbit Hole. I made the ends of the scrolls out of dowels and wood craft ends, then painted them blue. Receiving an invitation like this, I hope the guests are getting excited about the event! I added a QR code to the invitation which links to the Yapp app for the party – so guests can get up to date information about the Mommy-to-be’s gift registry and other details regarding the event. I have encouraged guests to wear a ‘crazy hat’ to keep with the theme of the Mad Hatter’s Tea Party. Decorations are being created and magic is being made in the craft room! 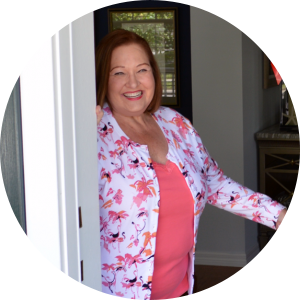 I can’t wait to share this even with all of you… stay tuned. 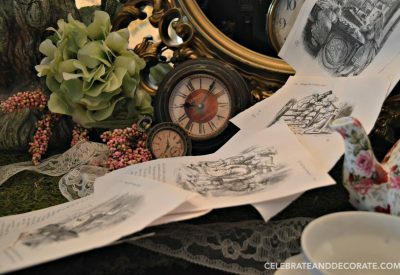 If you would like to have this invitation customized for your celebration please visit the Treasured Invitations Etsy shop! Love this!!! Where did you get all the materials for this invitation? Thanks! Hi Kate! I created the invitation and had them printed on legal size paper. I bought the keys at Drugmart, although I know different styles of keys are also available at Michaels and JoAnn’s. I bought the dowel rods from Michaels, and cut them down, glued on the end caps, also from Michaels, and painted them with acrylic paint available at any craft store. 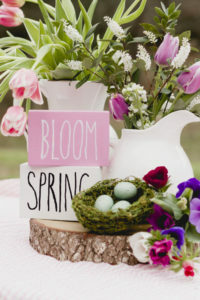 The invitations were secured to the dowels with double-sided tape, and set on top of a piece of moss cut down from large sheets available at Michaels. I hope this helps! 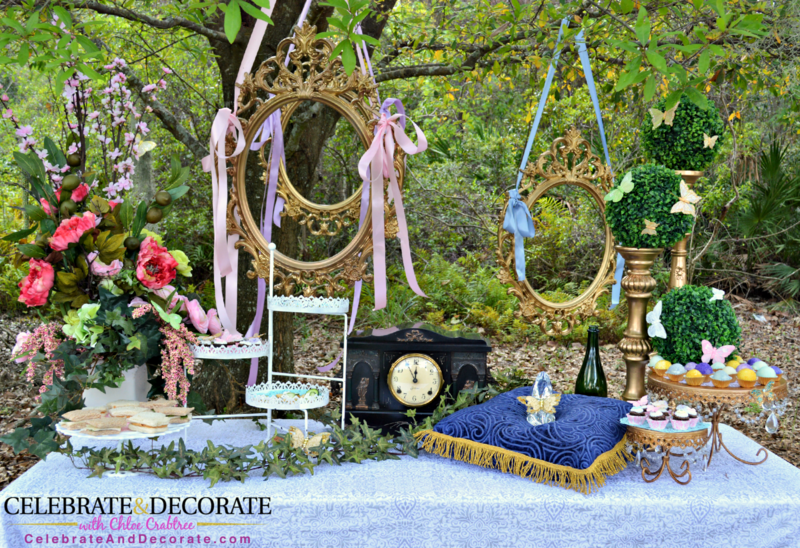 Please share pictures if you create your own invitations, and check back the end of August for all of the pictures of the Alice in Wonderland Baby Shower! I am sorry Lupita, but I only made these for my own party. I don’t really make them for others, it is more of a DIY project. Best wishes with your upcoming celebration! what size were the dowels and caps? How did you mail out the invites? Did you mail them directly in the boxes from Bags and Bows? If not where did you get the mailers from? I wrapped the green boxes from Bags and Bows in brown kraft paper and then mailed them out. I have up to 60 green boxes available for sale if you are interested. what size boxes did you use and where can I find the tages that say read me? I will run by my storage unit and measure them tomorrow. I have 30 or more for sale cheap if you are interested. I got the tags off of Etsy. I will find the source and email it to you. thank you but I found some this weekend @ Michaels and a stamp. Thank again and I hope this reaches you before you go to your storage. Thanks for reading my blog. I have emailed you directly. Best wishes with your shower. 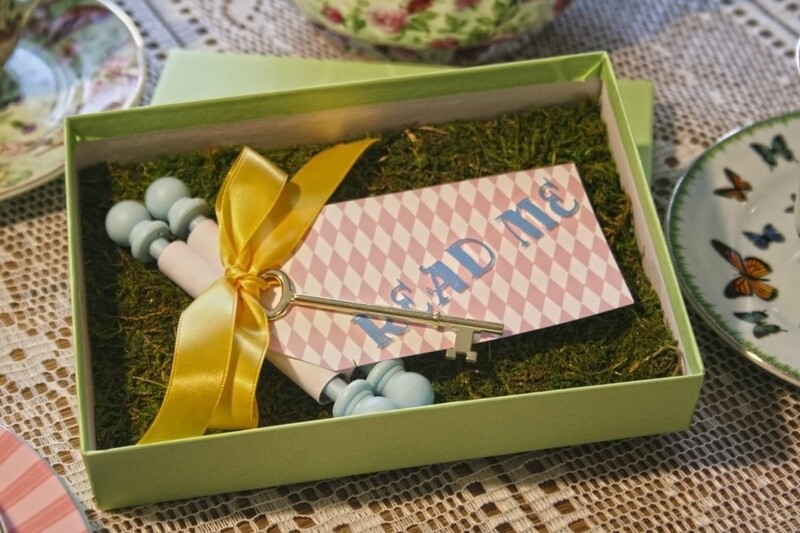 Hi, i love this whole idea for a baby shower but I especially love the invites. 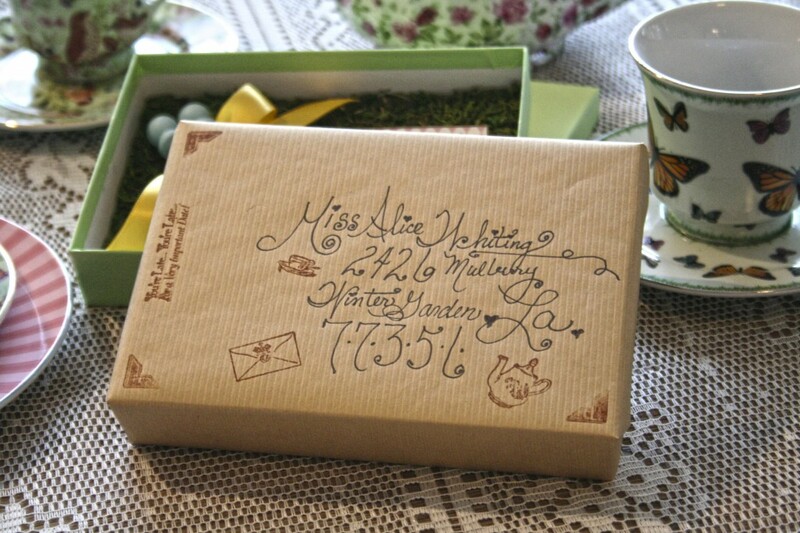 I was also wondering what size boxes you used and exactly how i would make the invitations. If you could please email me about it I would greatly appreciate it. I created my own invitations with help from a friend. There is a lot of information right here on how to create them. The boxes I used were 7 1/4 inches long, 5 1/4 wide and 1 1/4 inches deep. I will email you today. Kareema, I don’t have your email address. You can email me your specific questions at celebrate.decorate.design@gmail.com Thank you. I LOVE this! I’m planning a 30th unbirthday party for my daughter in July. Would LOVE to buy your excess boxes if still available. You can email me directly with any leftover supplies you may have together with the cost of the boxes and mailing. Thanks!! I am so sorry, I just sold them and shipped them this past week. Hi, I just love these invites! Do you mind telling me what software you used to make the invites? Which would be Light Green Kraft Jewelry Boxes 7 x 5 x 1 1/4. omg your invite is gorgeous! wow! would you consider sending me your file so i can edit text for my girls upcoming party? thank you so much!!! Those look fantastic…what was the cost to ship the invitation boxes through the mail? I am sorry, Leah, I don’t remember, but it would be different today since that was a couple of years ago. You know the Postal Service, they keep raising their rates! These invitations are absolutely adorable and clever. Love them! Thank you for linking up to The Party Gals Linky Party. Thanks Blanca! 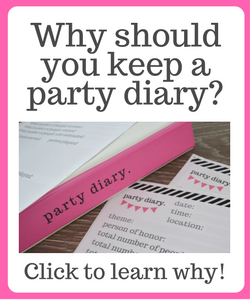 I am glad I found the Party Gals Linky Party! 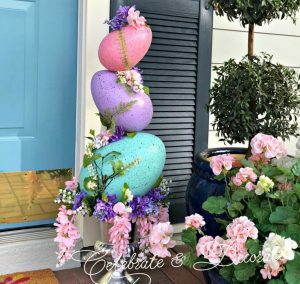 What size are the dowels you used for these? They are beautiful. Actually, Amy, I used a couple of different sizes. The problem was getting enough of the little end caps in the same size, so what I did was, I bought the end caps and then took them to the dowels and just bought what they would fit on. I hope that helps, thank you for your complements, it was a wonderful party. I need the invitation and treasured invitations seems to be gone. Where can I get this invitation. I bought everything I need to make this invitation! Help!!! Not to worry, Sandy, I will reach out to you by email and put you in touch with the creator of the invitation. Thanks so much! One more question I made copies of the read me cards on card stock. Do I need to punch a hole so I can put the ribbon through them. I am painting dowels this weekend! Sandra, I just used a large hole punch to punch the holes for the ribbon. Good luck!